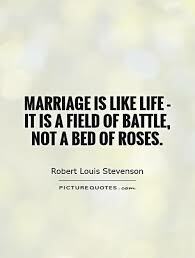 You know your marriage day is almost when time and again love and marriage thoughts cross your mind. Right, it scares the hell out of me. Being one of the ladies that dread marriage life, I guess it freaks me out whenever I think about this. Of course I try to occupy myself with every other thing just to ensure the thinking gets nowhere, truth is the day is coming. Maybe not long from now. Maybe today. One wonders how this is happening on a Wednesday morning. I know its ladies day or night? Whatever. It has little to do with my life. To me, Wednesday is nothing more than one of the days I dress up well, I do less on Tuesday and Thursday then obviously Friday is the dress down day (the next time you spot me in a suit on a Friday just ignore). So here I am, thinking about what it is like to be a wife. This takes me to Proverbs 31, any serious man quotes that. I want to marry a Proverbs 31 woman. Yester night I burnt the midnight oil wondering how fast my classmates (primary, secondary and campus) made their marriage decisions. Not with a purpose of doing comparisons, but maybe to tell if I have personal issues with this institution, or it’s true it needs time to get there. People were created differently. People have different lenses with which they view life. While I am here thinking how difficult it can get being a wife, leave alone those 9 months that you have to walk around with a distorted shape, elsewhere someone is thinking of the sweetness of submission and offering motherly love. That’s life. So now that most of my age mates and friends are in there, I am out, I will stay out for as long as I want. I will keep thinking of it. I will one day get in. I want to be there but it’s not urgent. I will soon be there. Here I am today. A friend calls asking me out for a cup of tea at 10:00 am. I see nothing wrong with that. it was not wrong, it informed this post. There is a time in my life I heard a rumor of I getting married to some dude in a few weeks. That was then, it never happened. A few weeks ago I met one of my many uncles in a hotel in town. (All men who measure up to the age your father qualify to be your uncle and Kisii is the only town where I come from). He is actually not even a neighbor. We stay 1 KM apart, but he is my uncle. I hadn’t seen him but he shouted my name, forcing me to walk up to his table. The handshake and congratulations! !For a minute I thought he had mistaken me for my big sister who has kids. He went on. “Am glad my daughter. I will buy you a big cabinet” (okay. He meant those old day wall units. I hate anything in the name of a wall unit. They make little sense). So this guy has planned a wedding for me with a man I am yet to meet? I thought to myself and walked away. I didn’t say a word. I just appreciated and left. Today. Again! “You mean you are getting married yet you have not bothered to let me know?” This was the prayer my good friend made for our tea. Then it was a moment of silence as each of us sipped from that hot cup of tea. My phone rang. My feet moved back and front in my shoes. My car keys fell from time to time (hehehehehehehe). For a moment I thought I was still dreaming. I looked around with my eyes wide open and confirmed it was real. I looked at her and there she was, worst of all you are joining up with my distant cousin. That did not catch me by surprise. All Kisii’s are related. But I had a task at hand to deal with. I had to convince her that none of my friends even know who I am going out with. Maybe some do, lest I have to part ways immediately I hit the Publish button. I recently read your post but thought you were kidding. She kept on talking, not realizing I was already fed up with her. I am not patient and anyone claiming to be my friend knows that. I had to find reasons to leave. And I actually did. The man purported to be walking me down the aisle in a few days is not known to me. He is not even a friend of a friend; he is a total stranger to me. For a moment I thought I could be having a twin sister whom I am yet to meet. I still dread marriage life; I am not wedding any time soon. I am still debating with myself if I will eventually go the wedding way. Especially when I know I will be confined to the church walls for hours, get women and men screaming as I take that hypocritical marriage oath. No. I am not sure I want to be part of this. I have that hope of being the Proverbs 31 woman. I am yet to find probably a Chronicles 21 man or something. What will I use to gauge a worthy man? I am not old yet. I will one day get over the fears and uncertainties and probably walk into the institution; I have got no plans as yet. Don’t try forcing or hurrying me in, this may add up to the years already set. When I want to get there not everyone will know, but once in I will scream and shout, post photos and videos, tell of how much we love each other in all social media platforms, make him my profile and cover photo, tag him in all my posts, probably blog about him. I will be walking besides him when he wants me to and I will ensure I introduce me to you when I want to. In the meantime allow me enjoy by singlehood. Drag me not into relationships am totally unaware of and weddings I have not planned for. You will not even make a part of my wedding committee. I will/may not have one.